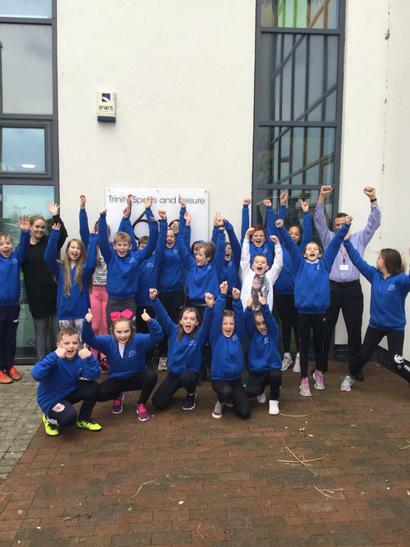 The children of St Joseph's were at it again this afternoon as a team of 20 boys and girls from Years 5 and 6 competed in the Sedgemoor Area Swimming Finals. Having won our preliminary round earlier this term, the children were placed against other winning teams from in and around the Sedgemoor area (there were 6 schools in total). The competition itself was extremely competitive with many of the children either 'County' swimmers or 'Club Academy' swimmers from Bridgwater Swimming Club or Taunton Dean Swimming Club. A 4th place finish was a magnificent result for the children of St Joseph's and they should all be very proud of themselves. They were simply quite magnificent and rounded off an extremely successful half term of sport and competition for the school.